ALCATRAZZ played a legendary show in Japan in 1984. In the course of a long research, the original 24-channel audio multitracks of this show were rediscovered, completely restored, remixed and mastered. 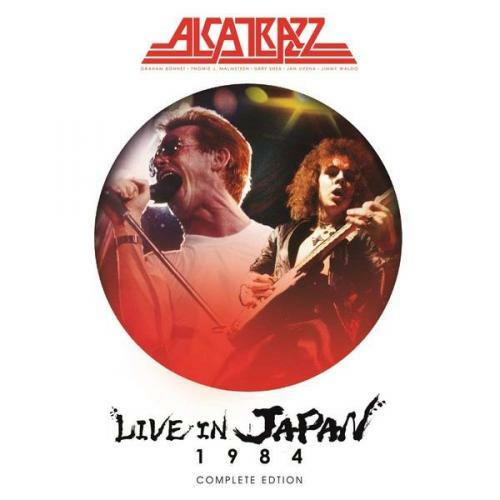 On September 28, "Live In Japan 1984 - The Complete Edition" will be released in a revised sound and for the first time as a complete concert on earMusic. Viewers are offered a journey back in time to 1984, right into the front row of Nakano Sun Plaza, where they hit 'Too Young To Die, Too Drunk To Live', 'Island In The Sun' and 'Hiroshima Mon Amour'. can experience. In addition, they see the beginnings of the rising guitar god Yngwie J. Malmsteen.